Put diced pumpkins into the pot. 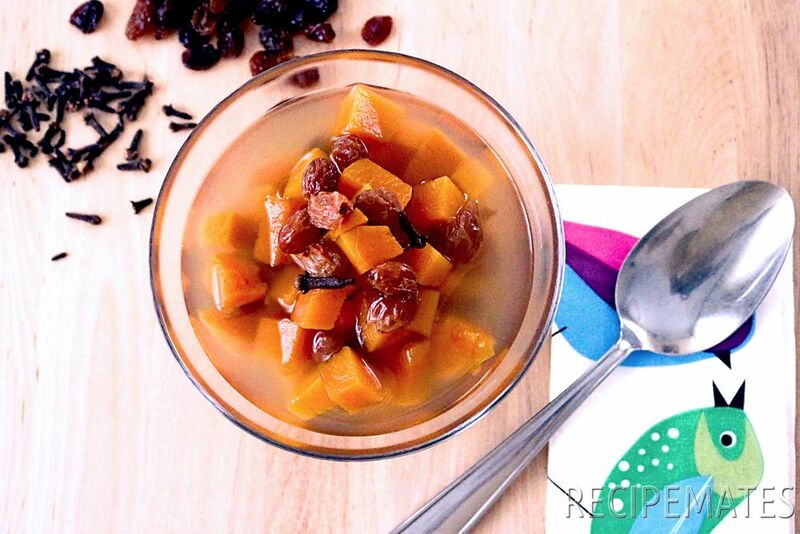 Add the raisins, sugar, cloves and water. Cook until pumpkins become tender. 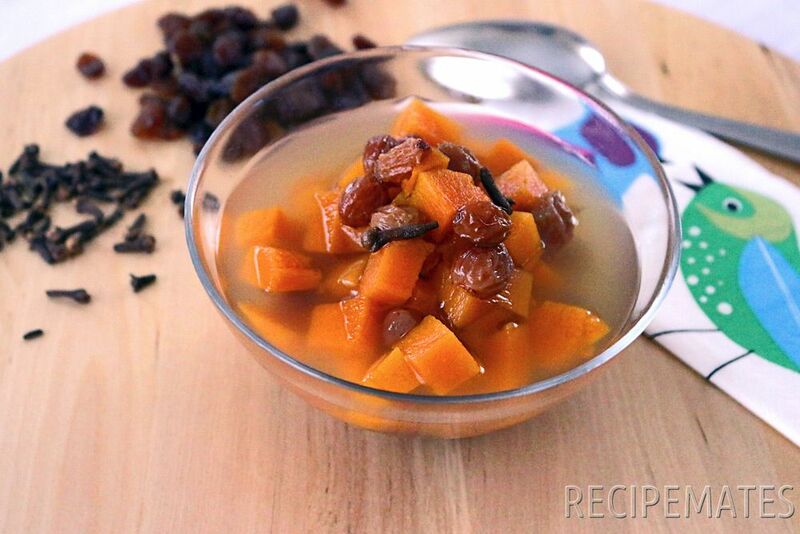 Serve pumpkin compote as a cold.